Each of the octuple 2-prd pompoms of HMS Hood is fitted with its own director. 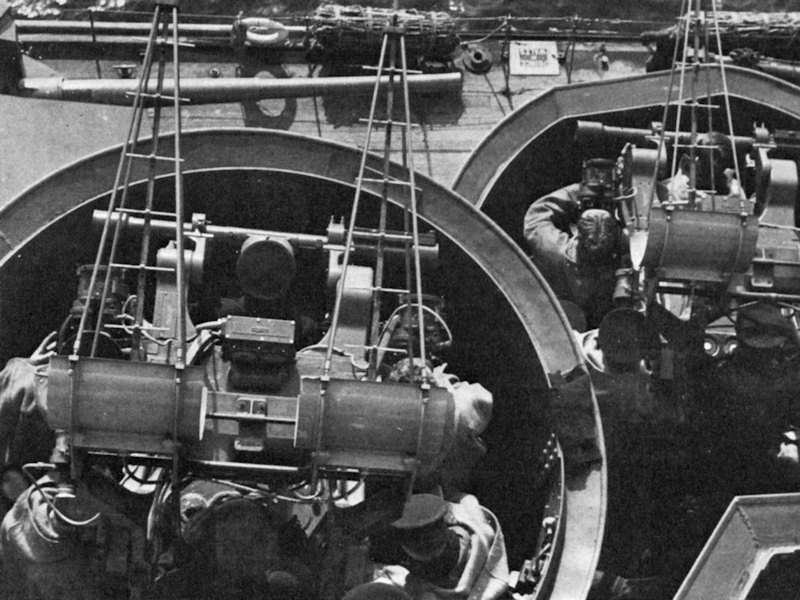 From the Anatomy of the Ship book follows they have been placed on the fore top (spotting top) in cylindrical emplacements and moved down to the fore bridge in 1936. A third director was fitted in 1938 to the aft searchlight platform when the third pompom was placed. Now, the third director is a Mk II while the first two are Mk Is. The Mk II is available through John Lambert Plans, drawing L/0/64. I was hoping that the Mk II and Mk I were comparable. They are not. 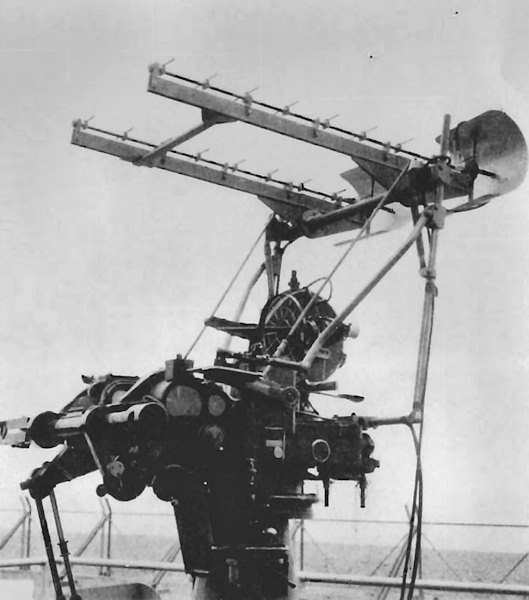 This is a picture of a pompom director Mk IV fitted with the ‘Yagi’ aerial that was used for the radar Type 282, 283, and 285 that were also to be fitted on HMS Hood. The director itself seems to the same type as the Mk IIs and MIIs. This picture shows two pompom directors as seen on the bridge of HMS Prince of Wales. 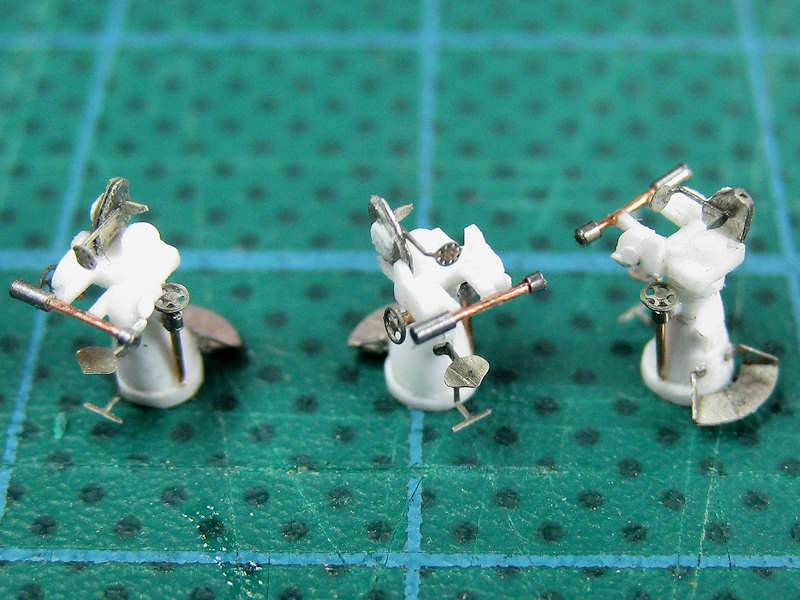 Here are the three models of the director Mk II with some etched parts, rod, and tube. 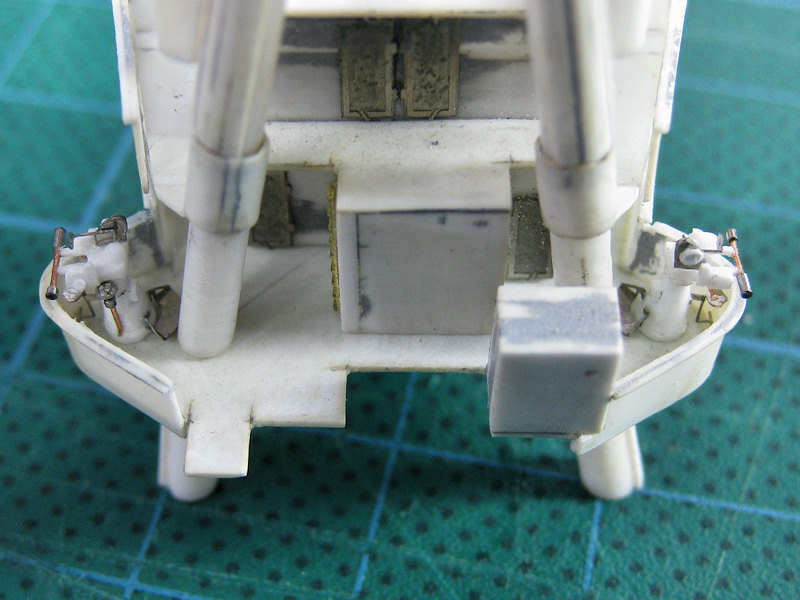 The drawing shows great detail that can be added to these small models. The difficult part was cutting the tubing and adding the hand wheels. They kept falling off. This image shows the directors at the correct location. However, they are much too large. 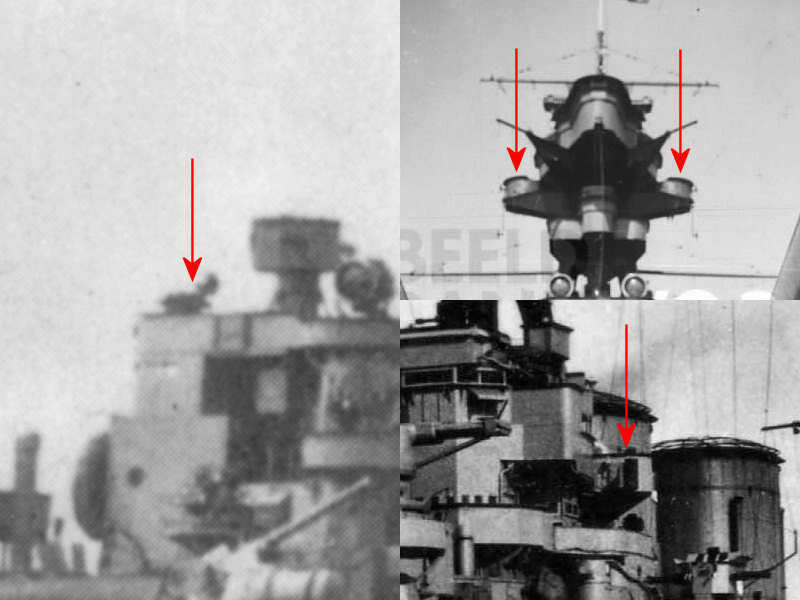 They cannot rotate and the are too high to match any photograph of HMS Hood after 1936. At left the aft searchlight platform is shown, indicating the location of the director. The top right image shows the location of the Mk Is prior to moving them to the fore bridge, the bottom right image shows them at their final location. From these images is well visible the Mk Is can hardly be seen.